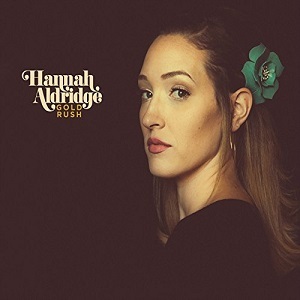 “Gold Rush” is the second album from Hannah Aldridge. Her first album, “Razor wire” was released in 2014. Her father, Walt Aldridge is a Country music star who has been inducted into the Alabama music hall of fame, and is a well known songwriter. With her family roots in Country music, it’s no surprise that there’s a strong country element in her music, but she’s also got a rock element to it too, and the resulting sound is more of a rock take on Country, and it’s very listenable. Every time I hear the opening line of the first song, “Aftermath”…”I was born in a crossfire” I keep expecting the next word to be Hurricane, but it’s not the Rolling stones so I’m always disappointed, but other than that it’s a great track. The first track to be released from the album is “No heart left behind” – check it out here…. It’s a really good album – rock with a strong country influence. She’s got a great voice and has a strong collection of songs here. A great album that’s well worth a listen.